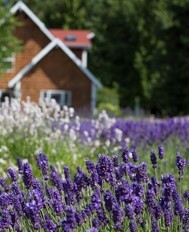 Purple Haze Lavender is a 12 acre Certified Organic Lavender Farm in the Dungeness Valley on the Washington State Olympic Peninsula. 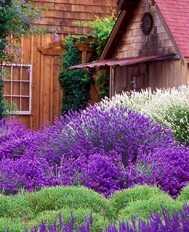 If you are interested in Wholesale and bulk lavender products from Purple Haze Lavender, please email us at wholesale@purplehazelavender.com for a price list or give us a call at 1-888-852-6560. We would love to hear from you! We only sell wholesale lavender to business owners, so please have your business information on hand when calling us to make your purchase. 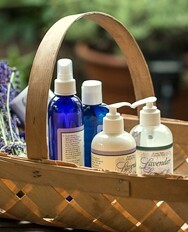 Purple Haze Lavender Farm also supplies a variety of lavender products for wholesale and bulk purchase. Virtually everything that is for sale in our store is also available to business owners at wholesale prices. If you are a gift shop, grocery or florist who would like to carry Purple Haze organic lavender products, please visit our online storeto view products and for more detailed information. Most of our orders ship in 2-5 days of placing your order and there are NO minimums. Along with culinary and spa/body products, we also have lavender buds, bundles and lavender essential oils and hydrosols at bulk prices. Many small gift shops located all over the US and Canada!